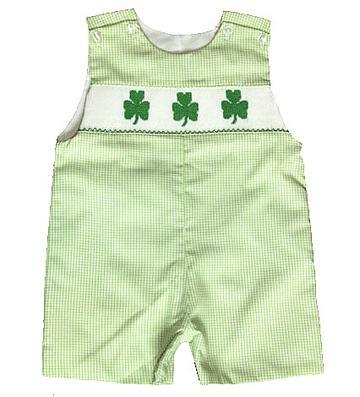 Lucky little boys to have such a cute St. Patricks Day outfit! 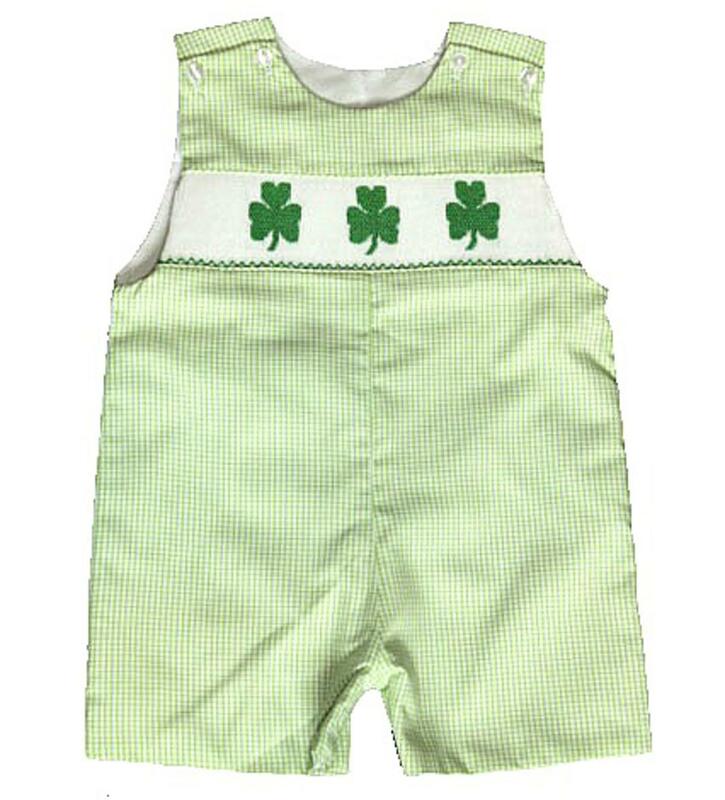 This green and white gingham check jon jon has handsmocking on the chest with three shamrocks. There is buttons on the inside of the legs to accommodate diaper changes and two buttons on each sleeveless shoulder to get over a childs head easily. This adorable outfit is 80% cotton and 20% polyester.